You haven’t experienced Texas if you haven’t eaten Texas BBQ and/or baked beans! While I’m from Texas, my side of the family is not very “southern”… at least compared to my in-laws. My husband Matt and his side of the family are about as southern as you can get! They are “country” as I like to call it. As true east Texans, you can bet your money that they’ve got some good ole country recipes up their sleeves. While my mother-in-law Paula is the main cook in the family, her husband Tony (aka, the “old Aggie”) has got a knack for baking beans; they are his speciality! Every family get-together at the lake house, grandparents house, etc. and we’ll have baked beans! They are great with just about anything from BBQ to grilled chicken to hamburgers. 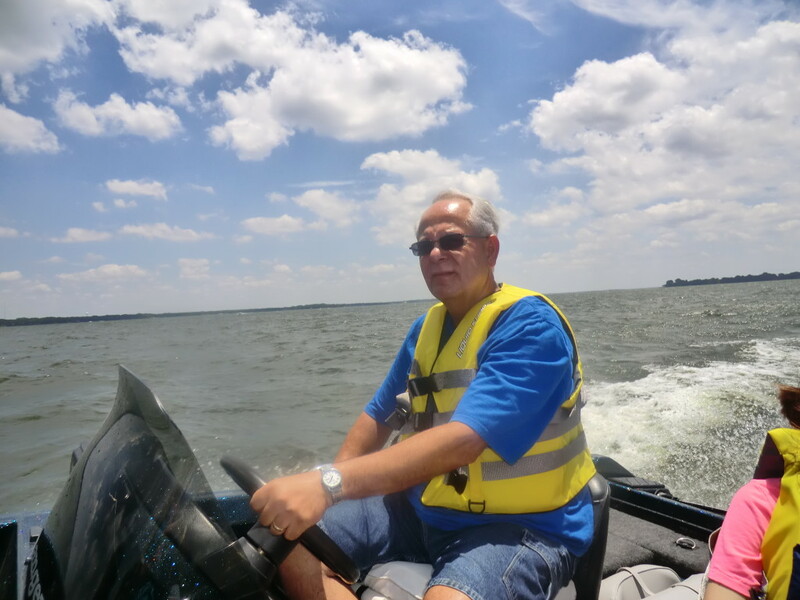 We were at the lake a few weekends ago for Easter, and I was finally able to get Tony’s recipe. The great thing about this recipe is that you can prepare the beans in the morning or a day in advance of when you want to bake them. As the beans sit, the flavors seems to blend together better and yield a more complex taste. Anyone else ready for warmer weather? Like I said, baked beans and the being at the lake go hand-in-hand! Okay, here’s the recipe. It’s super easy! Combine the beans, crumbled bacon, onions, Worcestershire, mustard and brown sugar. At this point you can cover and refrigerate until ready to bake OR place in a 350 degree F oven. (It’s best to let them sit a while before baking). 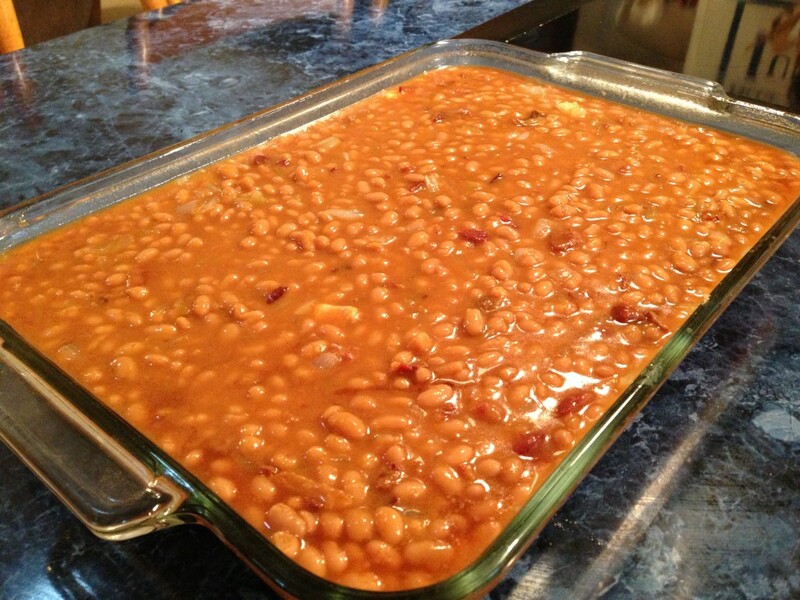 Bake the beans, covered with aluminum foil, for 45 minutes or until bubbly. P.S. Did I mention Tony’s an Aggie? Haha, being a fighin’ Texas Aggie is a pretty big deal…There are 13 (and counting) Aggies in our family! Whoop!!! 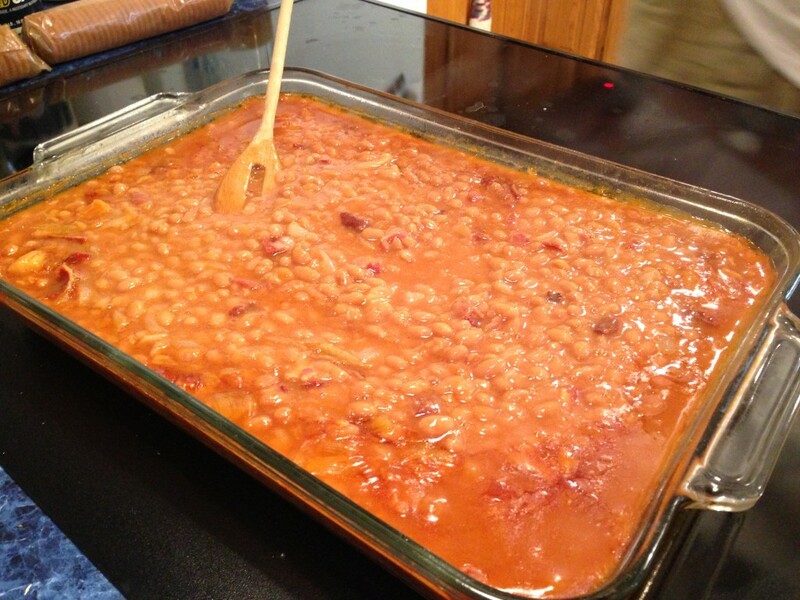 Preheat oven to 350 degrees F.Place beans in a large casserole dish. Fry bacon and onions in bacon grease. 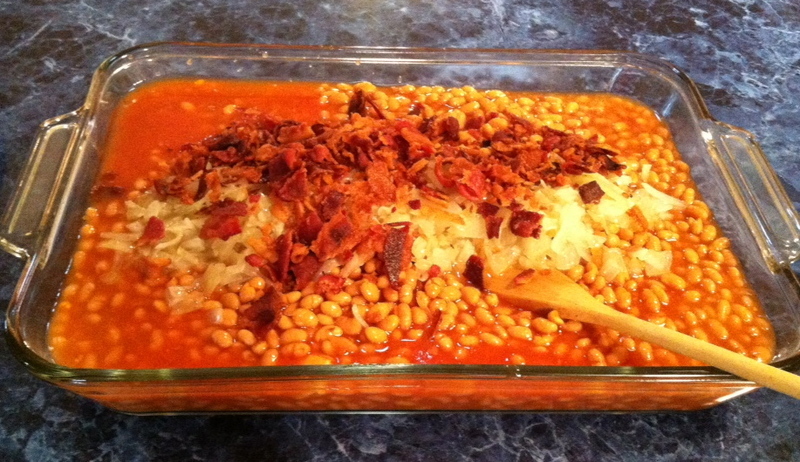 Break bacon into small chunks and add to beans. Add cooked onions, brown sugar, mustard and Worcestershire sauce to beans. Mix well. Place in a pre-heated oven and cook, covered with aluminum foil for 45 minutes. 2 Responses to "“Old Aggie” Baked Beans"
I’m starving! These beans are great. It’s good when someone else does some of the cooking too! Yep they are sooo good! We need to go to the lake again soon!